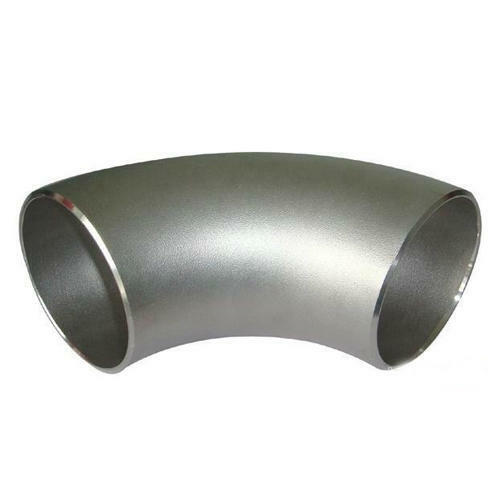 Stainless Steel Elbow is ideal for those areas where high pressure, corrosive conditions and vibration exist. Available ion different grades of stainless steel, these elbows are designed in different angles for directing the liquid flow in a specific direction for uninterrupted flow to the destination. These are widely used in the installation of pipelines used in several industries for a smooth and continuous flow. Made from the best grade SS, these elbows are non reactive to chemicals and ensure non contaminated water supply to commercial and residential places. Dynamic Forge & Fittings I Pvt. Ltd. is an internationally acclaimed exporter and supplier of quality metal products, including - Pipes & tubes, Forged High Pressure Fittings Socket, Weld & NPT, BSP Threaded fittings, Flanges tube fitting, Buttweld fittings, Fasteners and more. Through regular and consistent supply of its quality, durable, hi-performance products, the company has established itself as one of the most reliable players in the industry. With the years of experience in international market and an in-depth understanding of the industry, we are capable to provide our customers with best possible solutions to meet their various requirements. We possess a well maintained warehouse that enables us to keep stock of our products thus we provide a perennial supply of goods to our customers. Our international standards of packaging have facilitated us to create a niche for ourselves in the industry. Apart from exporting products, we also outsource our products according to the requirements of our associates and clients. Committed to providing highest level of customer satisfaction, we are capable to deliver the orders within stipulated period of time to our clients in any part of the world. The company with its aggressive marketing strategy and a close association with fabricators recognized in manufacturing top-quality steel items is ready to leap the bound.